The one and only true Almighty, Chukwu Okike Abiama has answered the long awaited prayers of the Biafran people. He has remembered the Biafran people. He sent them a Messiah in the person of Mazi Nnamdi Kanu, to go before them. The Almighty has commenced his works on the Biafra restoration project. The Messiah, Kanu, the leader of Indigenous People Of Biafra and the director of Radio Biafra and Biafra TV have done perfectly well. He has restored the glorious lost hope to the great Biafran people. He has gathered together, the Biafran people who were scattered across the world and then gave them a government of their own. Nnamdi Kanu arrived at the right time, making the impossibilities become possibilities. With him, Biafra is now a near success, he set a road-map towards the restoration of Biafra. With his masterful craftmanship, he set up an indivisible structure; the office of the deputy leader; office of the H.O.D; the office of the C.O.C; the office of the liaison officer; continental Reps; and others. These offices constitute our revered Directorate Of States (D.O.S), the governing body of IPOB. Nnamdi Kanu gave the Biafran people everything, he gave us a governing institution, he gave us a parliament (D.O.S) to discuss our affair, he gave the awareness and trained us on media war. He brought Biafra to the world's center stage. He showed the Biafran-government (D.O.S) a clear path towards Biafran restoration. Nnamdi Kanu has done his own part on the restoration of Biafra. There is no doubt that Nnamdi Kanu is our Joshua who shall lead us into the promised land, the Biafran Republic even though he has perfected the part to Biafra restoration. Hence, it will be very wrong for any officer in the hierarchy to assume or say that the IPOB government is waiting for our leader – Nnamdi Kanu, to come out and continue from where he left off on the Biafran struggle. Kanu shall come out and continue on the Biafran struggle but not where he left it rather, he shall come out to lead an already realized Biafra. Now that Chukwu Okike Abiama has perfected his works on Biafran restoration, and have enabled our leader Nnamdi Kanu to do his bit, IPOB government must follow suit with her own bit on Biafra restoration. For them to perfect it, the office of the deputy leader, office of the H.O.D, the office of the C.O.C and the office of the liaison officer must be bind together in unity, ultimate respect shall be given to D.O.S’ resolutions and cases of disagreement among officers in the hierarchy shall be kept secret and settled in-house. During the previous and recent disagreements in the Biafran government, everything was settled ammicably and I pray that it doesn't happen again. 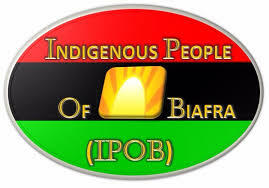 IPOB government, the office of the deputy leader, office of the H.O.D, the office of the liaison officer and D.O.S, in general, must be bind together, just like the mixture of volcanic ash, lime, and water whose outcome is the strongest concrete known to man. We must all match in unison into the sovereign state of Biafra with our leader Nnamdi Kanu leading.